Earlier I looked at Napoleon in alternate history, of which Napoleon in America is one example. The books on that list are also examples of Napoleon in historical fiction. This week I’ll delve more into that category. While a vast number of novels are set in the Napoleonic era, relatively few have Napoleon as the main character. There are at least four challenges facing anyone who wants to write historical fiction about Napoleon. The sheer volume of material about him. A prospective author needs to do a huge amount of research. As most of Napoleon’s adult life is thoroughly documented – complete with ready-made dialogue from period memoirs and correspondence – there is little room left for authors to sketch their own imagining of events. A fiction writer may find it more satisfying to take Napoleon into alternate history, or to make the main character someone else in Napoleon’s entourage, where there is more scope for invention. The difficulty of coming to terms with a very complex character. Notwithstanding the volume of material about Napoleon (or perhaps because of it), it is impossible to fully conceive what he was thinking and feeling. A writer can feel presumptuous making the attempt. Most readers hold preconceptions about Napoleon. People already know Napoleon and his story, or think they do. In 1795, Napoleon himself wrote a novella called Clisson et Eugénie, about the doomed romance between a soldier and his lover. It is widely acknowledged as being a fictionalized account of Napoleon’s relationship with Eugénie Désirée Clary, whose sister Julie married Napoleon’s brother Joseph. Napoleon never sought to publish the work. Peter Hicks and Emilie Barthet of the Fondation Napoléon compiled the multiple, fragmented drafts into a composite whole for publication in French (Fayard) in 2007 and in English (Gallic Books) in 2009. I am looking at books that focus on Napoleon, rather than books about other characters that are set in the Napoleonic era (see below). In addition, apart from Foa’s early novel, I am concentrating on books written for adults. ‘Talleyrand,’ he said, after a pause. ‘I have wronged this lady. She is an angel of goodness and purity, she is a true woman and a true queen. It was a crime for me to persecute her. Yes, I confess that I was wrong in offending here. On merely hearing the sound of her voice I felt vanquished, and was as confused and embarrassed as the most timid of men. My hand trembled when I offered her the rose. I have slandered her, but I will make compensation!’ He resumed his walk rapidly; a delicate blush mantled his cheeks, and all his features indicated profound emotion. Talleyrand, looking as cold and calm as usual, still stood at the door, and seemed to watch the emperor with the scrutinizing eye of a physician observing the crisis of a disease. Luise Mühlbach was the pen name of Clara Mundt (1814-1873), a German writer of popular historical fiction. Napoleon and the Queen of Prussia and Napoleon and Blücher were originally published in German as part of a “Napoleon in Germany” quartet in 1859-1861. I have not been able to find English versions of the first book, Ratstatt und Jena, or the fourth book, about Napoleon and the Congress of Vienna. Mühlback also wrote novels about Napoleon’s wife Josephine, and Josephine’s children Eugène and Hortense. Her tone is pure, her morals are high, her teachings are direct and effective. She has, besides, historical accuracy and dramatic action…. Eugénie Foa (1796-1852) was the first professional Jewish woman author. Courtship by Command: A Story of Napoleon at Play by Maltida Maria Blake (1897) – The courtship in question is the one Napoleon mandated between Princess Augusta of Bavaria (sister of Princess Caroline Augusta, who later married Napoleon’s future father-in-law Emperor Francis I) and his stepson Eugène de Beauharnais, the son of Josephine. Folk-Tales of Napoleon: Napoleonder and The Napoleon of the People by Alexander Amphiteatrof and Honoré de Balzac, translated with an introduction by George Kennan (1902) – “Napoleonder,” a Russian folk tale about Napoleon’s career, was put into literary form or edited by Alexander Amphiteatrof and first appeared in the St. Petersburg Gazette of December 13, 1901. “The Napoleon of the People” is a chapter from Honoré de Balzac’s 1833 novel The Country Doctor. It purports to be the story of Napoleon’s life and career as related to a group of French peasants by one of his old soldiers, thus illustrating French folk beliefs about Napoleon’s unusual powers and destiny. The Thunderer: A Romance of Napoleon and Josephine by E. Barrington (1927) – Napoleon is depicted as a lover and a husband in this fictionalized and idealized view of his relationship with Josephine. E. Barrington was a pseudonym for Elizabeth Louisa Moresby (1862-1931), who became the first prolific female fantasy writer in Canada. The Road to Glory: A Biographical Novel of Napoleon by Frederick Britten Austin (1935) – Tells the story of Napoleon’s first Italian campaign from Napoleon’s perspective, including his imagined thoughts. Forty Centuries Look Down: A Biographical Novel of Napoleon by Frederick Britten Austin (1936) – Austin follows up with a dramatization of Napoleon’s Egyptian campaign and his troubled relationship with Josephine. Much of the dialogue consists of Napoleon’s adapted correspondence. Le Fils de l’aigle, Napoléon II [Napoleon and His Son] by Pierre Nezelof, translated by Warre Bradley Wells (1937) – Covers events from Napoleon’s divorce of Josephine and his marriage to Marie Louise, through the birth of the King of Rome (Napoleon II) right up to the latter’s death in 1832. Alone Among Men by Marjorie S. Coryn (1947) – Set in 1799, the year of Napoleon’s return from Egypt and of the coup d’état that made him First Consul of France, this novel concentrates on Napoleon’s relationship with Josephine and the intrigue that brought him to power. It is the third book in a Napoleonic series by Coryn: Goodbye, My Son (1943) provides a history of the Bonaparte family from the perspective of Napoleon’s mother Letizia; and The Marriage of Josephine (1945) dramatizes the latter’s life. Why Waterloo? by Alan Patrick Herbert (1952) – Tells the story of Napoleon’s exile on Elba, his escape and return to France, and the events leading up to his final defeat at the Battle of Waterloo. The Emperor’s Ladies by Noel B. Gerson (1959) – Napoleon’s marriage to Marie Louise is the primary focus of this novel, which looks at Napoleon as a husband and a father. It begins with his divorce from Josephine, takes into account his affair with Marie Walewska, and ends with his defeat at the Battle of Waterloo in 1815. The Last Love by Thomas B. Costain (1963) – Napoleon and Betsy Balcombe, the teenaged daughter of an East India Company official, become friends during Napoleon’s exile on St. Helena. The book includes flashbacks to Napoleon’s youth and campaigns. 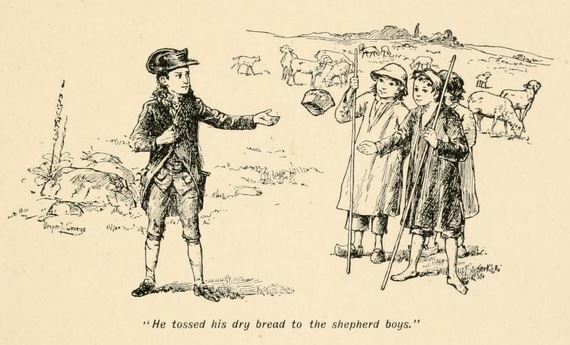 The Eagle and the Rock by Frances Winwar (1963) – This fictionalization of Napoleon’s life, told in the words of a boyhood friend, opens with Napoleon’s death on St. Helena and then looks back at his youth and early military service, through his triumphs and defeats, right up to his final departure from France. Madame Casanova by Gaby Von Schönthan (1969) – Originally published in German in 1968, this is a fictional account of the rise and fall of Napoleon, involving a childhood lover from Corsica who becomes his lifelong enemy. My Brother Napoleon: The Confessions of Caroline Bonaparte by Frank W. Kenyon (1971) – Told from the perspective of Napoleon’s sister Caroline, this novel dramatizes Napoleon’s rise to power and years of triumph. Napoleon Symphony by Anthony Burgess (1974) – Subtitled “A Novel in Four Movements,” this book interprets Napoleon’s career as a mock heroic opera in a pattern borrowed from Beethoven’s Third “Eroica” Symphony. The Napoleon Quartet by Max Gallo (1997) – A four book novelization of Napoleon’s life, published in French by Robert Laffont in 1997 and in English by Macmillan in 2004/05. Le Chant du depart [The Song of Departure] covers Napoleon’s first 30 years. Le Soleil d’Austerlitz [The Sun of Austerlitz] takes him from 1799, when he became First Consul, to his victory at Austerlitz in 1805. L’Empereur des rois [The Emperor of Kings] goes from 1806 to the 1812 invasion of Russia. L’Immortel de Sainte-Hélène [The Immortal of Saint Helena] begins with the faltering Russian campaign and ends with Napoleon’s death in 1821. The Napoleonic Trilogy by Patrick Rambaud (1997-2003) – Conveys the drama and horror of the decline of Napoleon’s empire in a series of three novels. La Bataille [The Battle] reconstructs the bloody Battle of Essling in 1809. Il Neigeait [The Retreat] opens after the Battle of Borodino and deals with Napoleon’s time in Moscow and the retreat from Russia. L’Absent [Napoleon’s Exile] covers the events of 1814 and Napoleon’s exile on Elba. The Wellington and Napoleon Quartet by Simon Scarrow (2006-2010) – A four-book series that tells the story of Napoleon and the Duke of Wellington (mostly in alternate chapters) from their birth until the Battle of Waterloo and its immediate aftermath. Young Bloods covers 1769 to 1796; The Generals 1796-1804; Fire and Sword 1804-1809; The Fields of Death 1809-1815. The Strange Death of Napoleon Bonaparte by Jerry Labriola (2007) – In this suspense novel, an American historian and international treasure hunter is commissioned by the Parisian Gens de Vérité to determine if Napoleon was murdered, and, if so, how and by whom? Napoleon’s Rabbit Farmer by Robert Jackson (2012) – A fictionalized account of Napoleon’s exile on St. Helena, opening with the last cannon shots at Waterloo and ending with the Boulogne coup attempt of his nephew, the future Napoleon III. The Conversation: The Night Napoleon Changed the World by Jean d’Ormesson, translated by Timothy Bent (2013) – Imagines a conversation between Napoleon and his political ally Second Consul Jean-Jacques Cambacérès in 1804, in which they ruminate on the merits and flaws of democratic government. Napoleon tries to rally Cambacérès in support of his quest to become emperor of France. The Hundred Days by Joseph Roth (2014) – Originally published in 1935 as Die Hundert Tage, this book provides a fictionalized account of the period spanning Napoleon’s escape from Elba to his final defeat at the Battle of Waterloo, told from two perspectives: that of Napoleon himself and that of a devoted palace laundress who loves him. Black Rock by Louise Hoole (2014) – Narrated largely by Napoleon’s ghost, this is a historical whodunit that opens with the autopsy of Napoleon’s body on St. Helena and climaxes with the disinterment of that same body some twenty years later. Destiny: A Novel of Napoleon & Josephine by Bertram Fields (2015) – Recounts the tempestuous love story of Napoleon and Josephine. Betsy and the Emperor by Anne Whitehead (2015) – Brings to life Napoleon’s years on Saint Helena, focusing on the Balcombe family and Betsy Balcombe’s relationship with Napoleon. Napoleon’s Last Island by Tom Keneally (2016) – Another recreation of Betsy Balcombe’s friendship with Napoleon, her enmities and alliances with his court, and her coming of age during her years with them on St. Helena. What about books about Josephine and other people connected with Napoleon, in which Napoleon appears in a secondary role? Fortunately, others have tried to keep track of this broad category, though the lists are not necessarily up to date or exhaustive. HistoricalNovels.info has a page listing novels set in the Napoleonic era. Will Caine maintains a “Napoleon in Fiction” list on WorldCat. The Fondation Napoléon includes some historical fiction titles in its regular reports on new Napoleonic books. 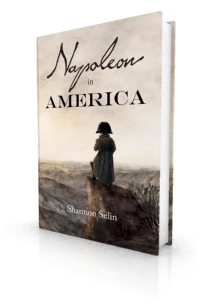 The Napoleon Series includes a number of historical fiction reviews. My post about Napoleon in alternate history includes links to sites that cover alternate history set in the Napoleonic period. Thank you for this great overview! And thanks for the info about the novel Napoelon wrote – I didn’t knew that before (and enjoyed the idea very much). Patrick Rambaud also wrote “La Bataille” about the Battle of Aspern. This book has been turned into a comic book in 3 volumes very expertly by Ivan Gil. Napoleon takes part in some scenes – very well done. The comic is currrently only available in French, but if you had some French in school, you get along quite well. Thanks, Anna. I didn’t realize “La Bataille” has been turned into a comic book. What a great idea. I’ll have to look for it. Lieutenant.He also wrote essays,a History of Corsica and took a lot of notes together with his own comments to that. of his writings.The book is only in French and not easy to find. there the choice and comments are likely to be subjective. often much better psychologists than men…….!! cannot find in the lists you mentioned. I wish more of these books were easy to find, Irene. Where I could locate a free online source (for the books that are out of copyright), I linked to that in the book’s title. Otherwise, if you click on the book’s title, it will take you to WorldCat, where you can see if a library near you has the book, or — for the more recent books — to the publisher’s website, where there is hopefully enough information to order the book from a bookstore or to ask your library to obtain it. Good luck! I don’t know if it was translated into English, but one of the best novels on Napoleon was written by Italian novelist Ernesto Ferrero, “N.” awarded with Premio Strega, the main Italian prize for litterature. It’s set during Napoleon’s exile on Elba. Thanks, Roberto. I’ve never heard of Ferrero’s novel. Just did a quick online search and, sadly, don’t see any reference to an English translation. It looks like there was also an Italian movie based on the book. Great post, as always! You’ve listed a number of books I didn’t know about. I’ll enjoy tracking a few of them down. Take care! Thanks, Margaret. 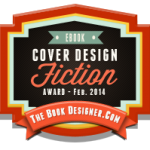 I’m looking forward to adding your novel to the list once it’s out! Apologies, Shannon, but I’ve only just discovered your website. Shame on me! This is a fabulous post and you may wish to note that the Historical Novel Society’s magazine is about to carry its own article on the same subject. It includes other classics like Stendhal’s The Charterhouse of Parma as well as Iain Gale’s Four Days in June and Simon Scarrow’s The Fields of Death. Plus, of course (unabashed plug here) The Last Campaign of Marianne Tambour which tells the story of Waterloo from a very different perspective in this bicentenary year of the battle – and paints Bonaparte from the French (rather than the more popular anglo-centric) viewpoint. The “facts”, after all, are usually only in the eye of the beholder! Thanks, Dave, for these wonderful additions. I look forward to reading the HNS article. What about Jane Austen? The soldiers in her stories were the Home Guard of the period. Her brother was in Nelson’s Fleet. Napoleon never mentioned! Good point, Charles. There’s a discussion of that here: http://historicalromanceuk.blogspot.ca/2015/02/jane-austen-and-napoleonic-wars_5.html. Don’t forget Naomi Novik’s Temeraire series, starting with His Majesty’s Dragon. Novik does (as far as I, no expert on military history, can judge) a brilliant job of imagining how Napoleon and the armies opposing them would have used dragons in warfare. Thanks, Karen. Sounds like that would also fit well on my list of alternate history books by women: https://shannonselin.com/2016/05/alternate-history-books-women/. [Napoleon] resumed his walk rapidly; a delicate blush mantled his cheeks, and all his features indicated profound emotion. Talleyrand, looking as cold and calm as usual, still stood at the door, and seemed to watch the emperor with the scrutinizing eye of a physician observing the crisis of a disease.